Measured against the world’s population of 7.4 billion, one in every 113 people is now either a refugee, IDP, or asylum-seeker. Most of the world’s refugees (86%) are hosted in developing countries (UNHCR, 2015). Over half of the forcibly displaced people are children. For education systems, the implication of this unprecedented displacement is alarming. Recent research has revealed the myriad educational trajectories experienced by displaced people, whose movements across territories often interrupt or stall their educational paths (Dryden-Peterson, 2015). Since displacements are not typically planned for, the provision of education has proven difficult; many of these children and youth are unable to access quality education or have fallen behind in their scholastic progression. Planning for displaced populations can help governments ensure education for all, supported by global funding mechanisms. Although some protracted refugee situations have lasted more than two decades, refugee education is largely financed from emergency funds, leaving little room for long-term planning. Traditionally, refugee education does not feature in national development plans or in education sector planning. New resources such as the Global Partnership for Education (GPE) accelerated funding provisions and the Education Cannot Wait Fund, are pledged to fill funding gaps to support education in crises. These development-oriented global funding mechanisms advocate for integrating refugee children and youth into national education systems. From 03-15 October 2016, IIEP, together with UNHCR, the Global Partnership for Education (GPE) and Education Above All’s Protecting Education in Insecurity and Conflict (PEIC) programme organized an e-Forum on “Planning for the inclusion of displaced populations in the education sector”. The e-Forum brought together 473 participants from 86 countries, including education officials, humanitarian and development partners, refugees and IDPs, and teaching staff. Participants discussed challenges and identified effective strategies to support Ministries of Education in planning for displaced populations. The E-Forum report summarising the discussions can be found on IIEP’s online repository and website education4resilience.iiep.unesco.org, which hosts more than 650 documents related to education planning and curriculum for safety, resilience, and social cohesion. 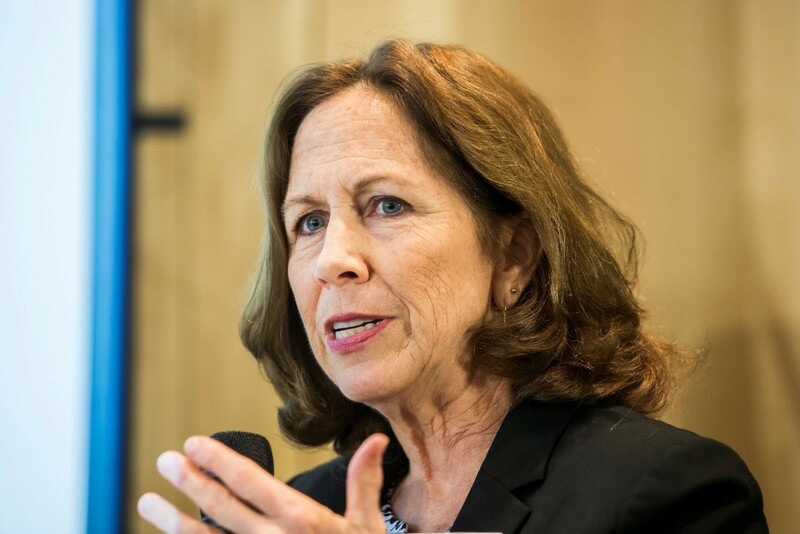 IIEP Director Suzanne Grant Lewis shared some of the discussions and results of the e-Forum during the INEE/BMZ International Conference “Learning for a better future – perspectives for refugees and IDPs through education and skills development”. The conference took place on November 2nd, 2016 in Berlin, Germany. As one of five panellists, Ms Grant Lewis highlighted among others, challenges and potential strategies in planning and costing educational needs of displaced populations, given the difficulties around collecting and projecting reliable data. Together with Ms Ilse Hahn, Head of Policy Issues and Displacement and Migration (the Federal Ministry for Economic Cooperation and Development, Germany), Ita Sheehy, Senior Education Advisor (UNHCR), Jesper Andersen, Senior Policy Advisor (GPE) and Friedrich Affolter, Education Expert (UNICEF), Suzanne Grant Lewis discussed global and local experiences and practices in ensuring access to quality education for displaced populations, including the important role of Ministries of Education’s in leading these efforts. By strengthening local and global discussions on how to mobilize education systems to prevent, prepare for and respond to crises, including on displacement and migration, IIEP continues its ground-breaking work on crisis-sensitive educational planning.